A divya desam temple of Lord Vishnu. It is an ancient centre of Lord Vishnu worship. Legend tells us that Nava Yogis (Sathuvanathar, Saaloga Nathar, Kadavanthira Nathar, Karakka Nathar and Kukkuda Nathar) – a group of Saints devoted to the worship of Lord Vishnu had worshipped Lord Vishnu at Tirunavaya. Lord Vishnu gave darshan to the Yogis. Eight Yogis, out of nine, attained Salvation by the darshan of Lord Vishnu. They went to Vaikuntam (the celestial abode of Lord Vishnu) and the idols of Lord Vishnu worshipped by them at Tirunavaya disappeared one by one. The ninth Yogi got dejected, he requested the Lord to take him also to the Vishnu Loka as he wants to meet his other companions. Lord Vishnu replied that he along with Lord Vishnu idol that he worships has to remain at Tirunavaya to bless the humanity. Lord Vishnu asked all the nine Yogis to remain at Tirunavaya temple and worship the Lord in invisible (not seen by human eyes) form. It is believed that there is the presence of Navayogis in the Sanctum Sanctorum of this temple. Another legend tells us that, when Lord Parasuram tried to consecrate the Lord Vishnu idol at this temple, the idols disappeared by the seventh day for eight times in succession. On the ninth time he immediately nailed the idol to arrest its disappearance. It is said, the nail mark is still present on the idol. 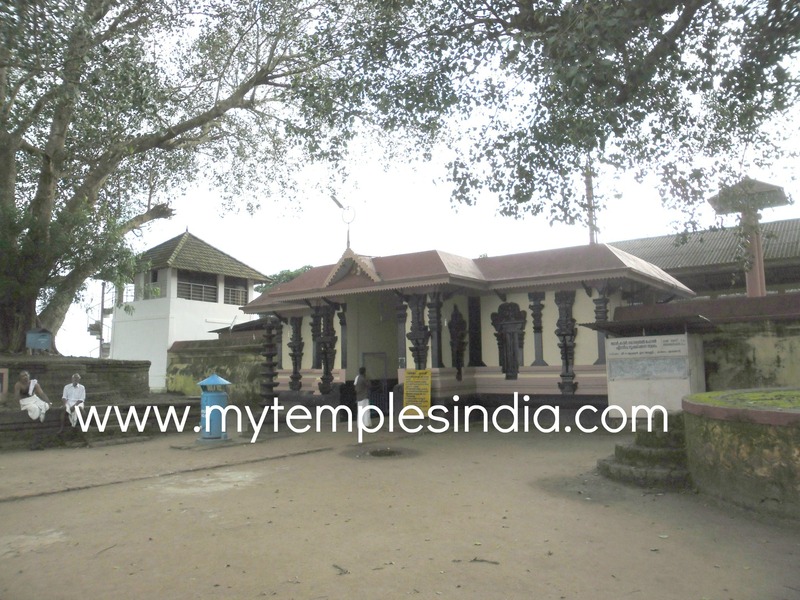 This temple and the surrounding area was the venue for famous �Mamankam� festival, which was celebrated once in 12 years to proclaim Zamorin of Kozhikode as the king of the Valluvanadu. The temple is on the banks of Bharathapuzha amidst a beautiful landscape. It is about 18 kilometers from Tirur.